Congratulations! A doctor searching the BMDP register has identified you as a matching donor, despite the odds of just 1 in 20,000. This is great news and your actions can potentially save a life. It is important you understand the next steps on your journey as a bone marrow donor and most of all, please be assured that you are not alone. Our Donor Coordinator will support you throughout and we can also introduce you to other donors who can share first hand experiences. 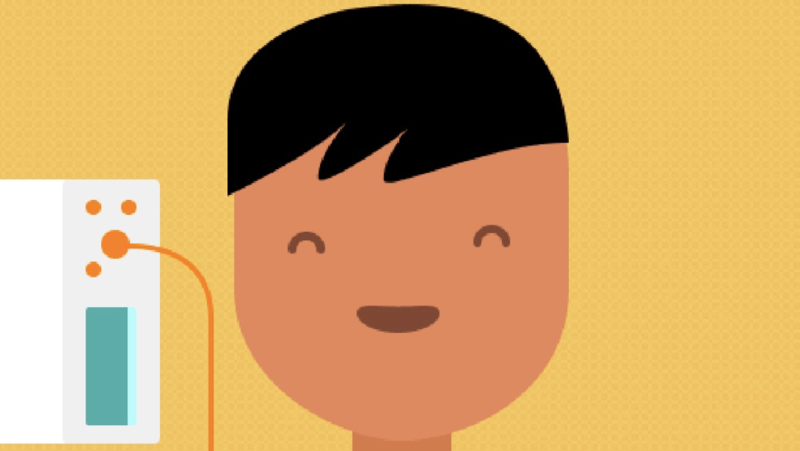 During a briefing, you will be asked to update us on your health status. If you consent to moving forward for more testing, we will collect a small blood sample to be used for verification typing (VT) to ensure you are a perfect match for the patient. Not all donors called for VT go on to donate, but it is important that you are ready for more testing if confirmed as a match, and you are willing to donate if chosen. What Happens after Verification Typing? The Donor Coordinator will let you know the outcome. If you are not a perfect match this time, you may still be called for another patient in future. Please stay on the register and remain committed. 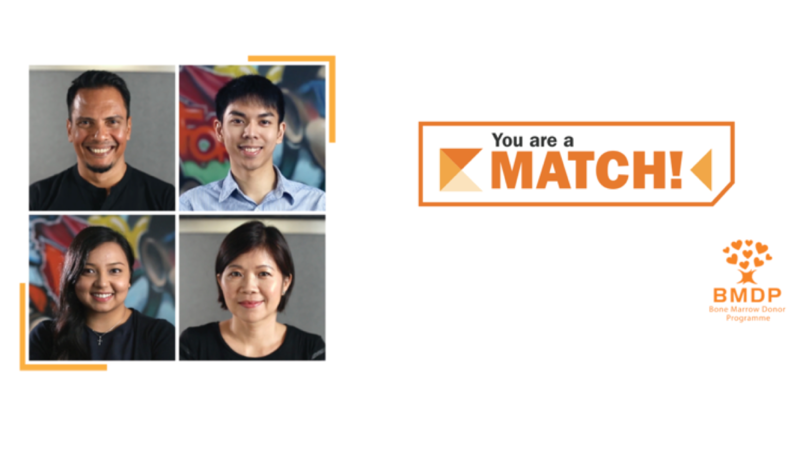 If you are a confirmed match, it is time to decide whether or not you are willing to go through to the next stage and ultimately make the donation. Your Donor Coordinator and one of our panel of doctors are available to assist you during this time. The work up process has two stages that will confirm you are willing, healthy and ready to donate bone marrow or make a Peripheral Blood Stem Cell (PBSC) donation. We will introduce you to your doctor who will complete a donor health questionnaire to evaluate you and your family’s medical history. More information will be shared about the donation process as well as any potential risks and side effects. Feel free to invite a family member or friend to attend this session with you. Once you agree to proceed, you will be asked to sign a number of documents, including a consent to receive G-CSF injections (for a PBSC donation only) and an “intent to donate” document. This will show that you understand what will take place during the donation process and the risks involved. You will be given a thorough physical examination to make sure you have no pre-existing medical conditions that could pose any special risks to you or the patient. We will also collect blood samples to be tested for infectious diseases. This is very important as some diseases can be transmitted to a patient through donation. The results will help determine your eligibility. 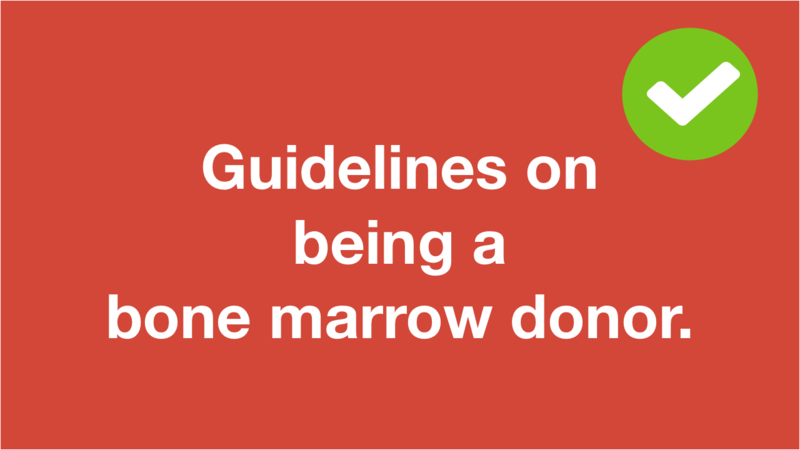 Once the work up process shows that donating would not pose any special risk to you or the patient, you will proceed to the actual bone marrow or PBSC donation. PBSC donation is similar to blood donation except we only collect the blood stem cells and this is carried out as an outpatient procedure usually taking between 5 to 7 hours. To increase the number of blood stem cells in the bloodstream, you will receive daily injections of a drug called G-CSF for four days before the collection and a fifth injection on the day of your collection. Your blood is then removed through a needle in one arm and passed through a machine that separates out the blood stem cells. The remaining blood is returned to you through the other arm. You may experience headaches, bone or muscle aches in the days before the collection. These are side effects of G-CSF injections that you receive to increase the number of blood stem cells in the bloodstream. These side effects usually disappear shortly after the collection. Bone marrow donation is a 1 hour procedure that takes place in a hospital whilst under general anaesthetic. You check-in the evening before the donation and the following morning, doctors will collect liquid marrow from your pelvic bone. This takes around one hour and usually you will stay in overnight to allow the effects of the anaesthetic to wear off. You will then go home the following day. Most donors feel some soreness in the lower back for a few days but usually they will be back to work in less than a week. You should be back to your normal physical routine in a few weeks and your own marrow is completely replaced within four to six weeks. After you donate marrow or PBSC, your Donor Coordinator will arrange for follow-up appointments usually at intervals of 2 weeks and 6 months after the donation. This is to ensure your health has not been affected by the procedure, even though most donors are back to work in a few days and resume their normal physical routine in a few weeks. Your marrow is completely replaced within four to six weeks. The BMDP and your Donor Coordinator care about your well-being and want to support you throughout your journey. Few people are able to play such a part in saving the life of another individual and most of our donors will share how this has added great satisfaction to their lives as individuals. Download the booklet to learn more here.